Craig Fleener, a Gwich’in Athabascan, currently serves as Arctic Policy Advisor in the Office of Governor Bill Walker of Alaska. Over his illustrious career in public service, Craig long worked for the Council of Athabascan Tribal Governments in Fort Yukon, first as Director – Natural Resources Department (1993-2003) and then as Executive Director (2003-2007). Later, he joined the Alaska Department of Fish and Game, acting as Director – Division of Subsistence (2008-2010) and then Deputy Commissioner (2010-2013). 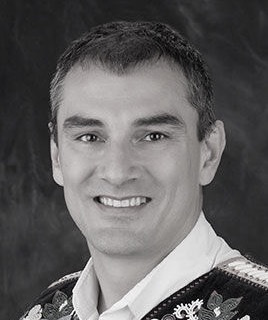 Alongside, Craig has served as Chair of the Eastern Interior Federal Regional Advisory Council from 1996 to 2006, Chair of the Gwich’in Council International from 2001 to 2007, Board Member of the Alaska Board of Game from 2007 to 2008 and U.S. Co-Chair of the Yukon River Panel from 2008 to 2012. He has also been a Committee Member of the Bison Specialist Group at the International Union for the Conservation of Nature – Species Subcommittee since 1995. In addition, Craig joined the Marine Corps in 1986 and the Alaska Air National Guard in 1991, where he is a now senior intelligence officer and holds the post of Section Chief. In the 2014-election, Craig ran as an independent candidate for Lieutenant Governor with independent gubernatorial candidate Bill Walker, before stepping aside to serve as Arctic Adviser.